Special Containment Procedures: All employees are to stay away from SCP-7943 at all costs. The 10 SRA activated on max in SCP-7943 are to stay on at all times. Any personnel that comes within 10 9 feet of SCP-7943 are to be terminated. All material other than the SRAs and SCP-7943 is to be apprehended. SCP-7943 is to be contained within a 5m x 5m x 5m standard containment chamber. This chamber is to have 10 9 SRAs scattered around it on high at all times. If any reality-bending is to occur SCP-7943 is have his yearly request taken away. Description: SCP-7943 is an 8-foot tall muscular humanoid. It is assumed that SCP-7943 is male. SCP-7943 has no noticeable features other than shoulders merging with the head. Before containment SCP-7943's name was Watch T. W. Burn. SCP-7943 is a threat to the universe due to its anomalous abilities. SCP-7943 is an entity of which can bend reality to the points of tearing. 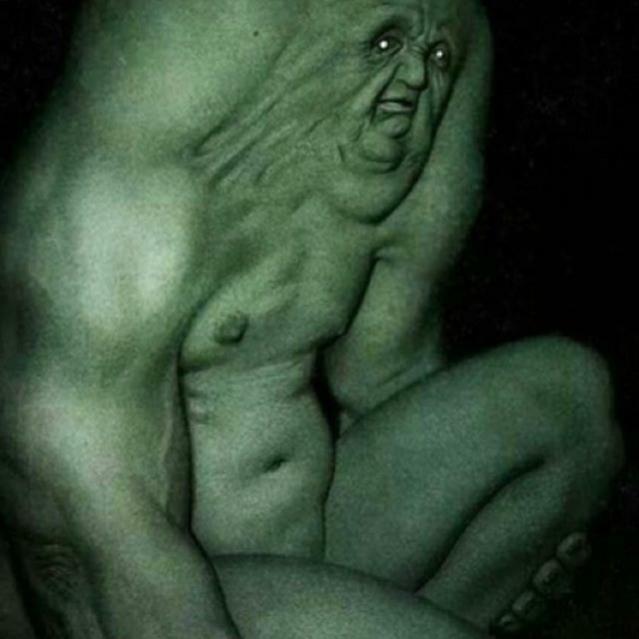 SCP-7943 displays immeasurable dislikeness of this and will typically never bend reality. When aggravated SCP-7943 slightly bends reality in its favor. SCP-7943 is to be allowed a yearly request. Dr. Drek: What do you do exactly? Dr. Drek: Watch? What is that supossed to mean? SCP-7943: What it sounds like. Dr. Drek: Alright, and what is your yearly request? SCP-7943: Removal of one SRA. Dr. Drek: Well this concludes our interview. Closing Statement: Drek terminated and SCP-7943's request accepted.